Forums General Discussions '93 34' Regency w/Turbo Cummings? '93 34' Regency w/Turbo Cummings? I need any information someone might have regarding the Barth Regency, 1993 34' w/turbo Cummings power. I've only had Barths on the Chevy P30 chassis with the 454 and would appreciate any insight as to reliability, any problems they might have, current value, etc. Current NADA shows a value between $35,810 and $43,140 with an original suggested list price of about $225,000. I currently own a '93 32ft Regency on a Gillig chassis with a 300HP Cat 3208. We have owned the coach for about one year and have put about 4000 miles on it without any major problems. I have replaced the starter, one chassis battery, and two of the rear air bags. Other than that just normal oil and filter changes type of maintenance. Thanks, Nick, for the info. 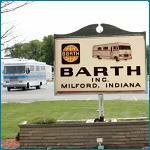 I looked at a coach that was a ’93 Barth with a 230 Cummings on a Spartan chassis. It looks a lot like a Breakaway. There’s a ’93 ‘Regency’ shown on page 10 of the Gallery and when comparing that with the 33’ Breakaway, they look identical. Did Barth build both Regency and a Breakaway with the same chassis and engine in ’93. The one I saw actually appears to be the ’93 34’ Regency on a sales lot, which appears on page 11 of the Gallery. 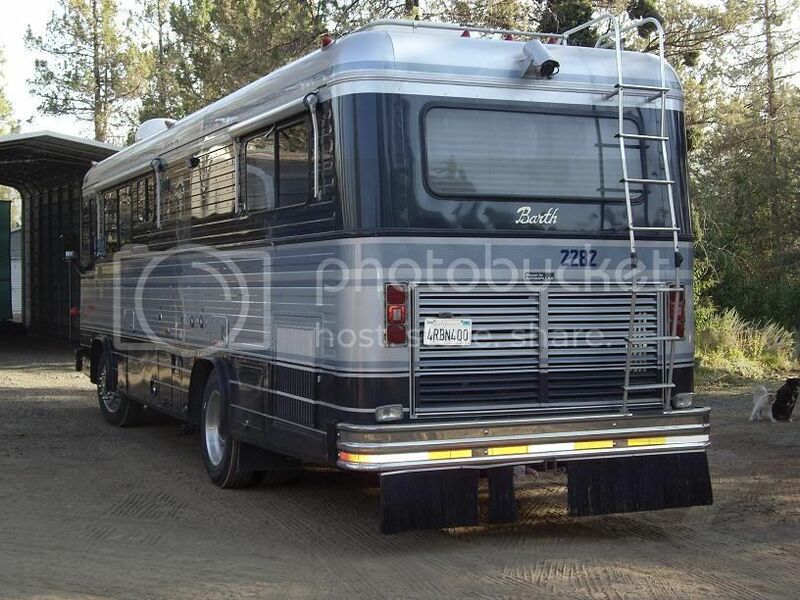 It’s really a nice coach, but I’d like to know if anyone knows anything about the one that’s shown on page 11. I definitely need help on this one. You need to study previous posts on how to identify a Regency or a Breakaway. There are general guidelines, but a Barth is what a Barth says it is. That is, original documentation or data tag numbers are hard evidence. As far as soft evidence and generalities, it abounds. As far as I know, Regencies all had a much more rounded roof edge radius than Breakaways, which had the same tighter radius as Regals. So, I don't know whether to call this soft or hard evidence. Regencies generally had the Gillig or Spartan Mountain Master chassis. Breakaways generally had a Spartan chassis and the Cummins 5.9 engine, but there are exceptions, like the few with the CAT 3116. Regencies generally had a side radiator, at least with the Gillig. Can't remember on the Mountain Master Regency. Studying the Barth Regency brochure on the Barth CD will help. I do not know if anyone has a Breakaway brochure they will share. That would really help. My guess is that if it has the Cummins 5.9L, it's most assuredly a Breakaway. Another consistent feature of Breakways is that the center console (with the radio and HVAC controls) is parallel to the dash; on Regencies, it's angled toward the driver. AFAIK, all Breakways were on a fully sprung Spartan chassis, although apparently some of the 32'/33's had air assist (and maybe some 30's). Except for one apparent prototype, no Breakaway has a widebody. But as bill h points out, the only (usually) conclusive proof is the data tag; on a few individual transitional coaches, the data tag is confusing, but for the vast majority of Barths, it'll nail down the model. Yes, that might be the only statement without exception. Probably due to the heavier weight of the Regency. Most other things we think we know about Barths end up having exceptions. There were several Breakaways on Gillig chassis. One is owned by a member in B.C. Beeoh, I think. Called the owner and got the data tag and it is a Breakaway. Last sequence is 33BS4B. 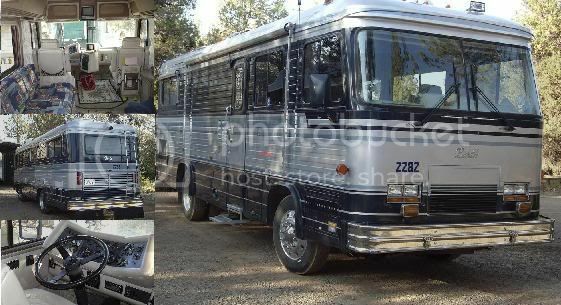 The dealer in So Cal sold it as a 34' Regency and it's listed as such on his purchase contract. Unfortunately, it ain't. Once again thanks to those who have helped me in resolving this issue. Herb, could you please post a link to this coach so no one else gets pulled in. What is the whole data tag number? 9212383633BS4B is the data tag number for this coach. The couple who have it really believed it was a Regency and I'm not sure what they'll do now. What a shame some one did this to them. Since it's listed as a 34' Regency on P 11 of the Gallery, maybe that pic should be pulled or re-listed as a 33' Breakaway. Since it's listed as a 34' Regency on P 11 of the Gallery, maybe that pic should be pulled or re-listed as a 33' Breakaway. I certainly think the current owner would have a cause for action against the dealer, since there is a significant price difference between Regencies and Breakaways. I suspect California laws are at least as strict as Florida's concerning dealer misrepresentation. In FL, the dealer would have no defense even if it was sold to him as a Regency. Also in Florida, the customer wouldn't have to sue the dealer, merely notify DMV's Dealer Licensing Branch. RV dealers have to post a $10,000 bond just for such claims. Talked to the owner today and he is going to take action. He said it was an established RV dealer in Southern CA. Last night after I talked to him he got his sales contract out and verified it was sold to him as a 34' Regency. I believe it was the couple's first RV. What a way way to get introduced to the life of RVing. Don't know how to post a link. Last night after I talked to him he got his sales contract out and verified it was sold to him as a 34' Regency. It also shrunk a foot too, now it's a 33' Barth Breakaway. How long has he owned this RV for? This is an absolute prime example of why all members should request the Data Tag Number before any papers are signed and absolutely before any money changes hands. Quick Reply Shortcut: '93 34' Regency w/Turbo Cummings?